Call 563-265-2019 to schedule your first appointment. When you get hearing aids in Dubuque, IA, you can improve your ability to hear in challenging situations. At Miracle-Ear®, it will be our mission to help you find a hearing aid that will transform your life. Each one of our locations is an independently owned and operated center, so you'll get the same personalized service no matter where you go. If you have experienced these or any other signs of hearing loss, you can visit our center for a free hearing test*. One of our experienced hearing care specialists will work closely with you to find the right hearing aid that utilizes industry-leading technology. GENIUS™ Technology, which includes a wide variety of exciting new features, is exclusive to Miracle-Ear. This hearing solution is designed to help our customers experience the world of sound in a natural way using a virtual network of microphones. When you wear one of our hearing aids, you'll be able to hear normal conversations, soft music, and the beautiful sounds of nature. If you need to make an adjustment, you can fine-tune the settings of your hearing aid easily with our smartphone application. Our goal is to help individuals with hearing loss throughout Dubuque and the surrounding areas discover and experience the Miracle-Ear® advantage. When you sign up for a 30-day, risk-free trial**, you can evaluate our hearing aids and services without any risk. We have more than 1300 locations nationwide where you can go to get checkups whenever you need them. Give our hearing aid center a call today to set up an appointment. 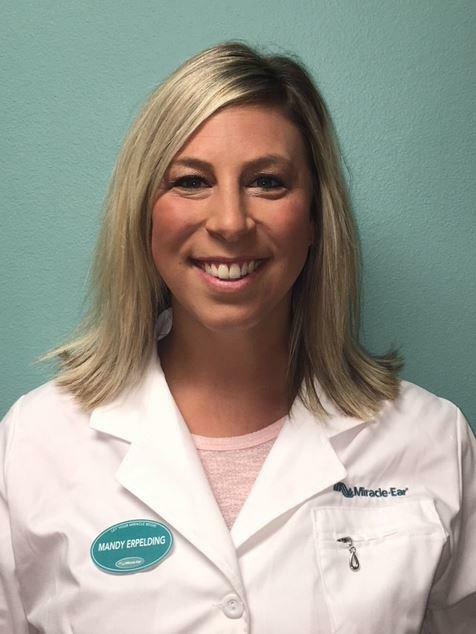 Mandy has 2 years of experience as a Hearing Instrument Specialist. Mandy is a Licensed Hearing Instrument Specialist and a member of the IHS society. Mandy�s favorite part of working at Miracle-Ear is helping clients improve their communication with family and friends. Aaron has worked with Miracle-Ear for two and a half years as a Hearing Instrument Specialist. Aaron is LMS certified. He is also an IHA and IHS member. Aaron's favorite part of working with Miracle-Ear is changing people's lives for the better. Wendolyn started with Miracle-Ear as a Patient Care Coordinator in 2002, she brings over 14+ years of experience as a patient care coordinator. Wendolyn's favorite part of working at Miracle-Ear is knowing and seeing the difference made in someones life is very rewarding.